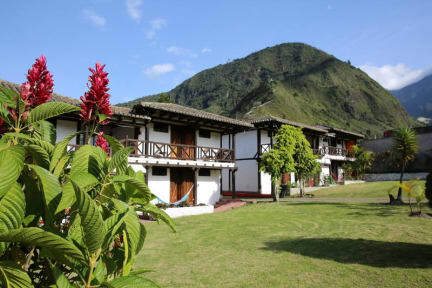 Cabanas Intiluna is a comfortable property located in the centre of Baños. For your comfort, Cabanas Intiluna is pet-friendly, has free Wi-Fi access and an onsite restaurant. The reception is open 24-hours. 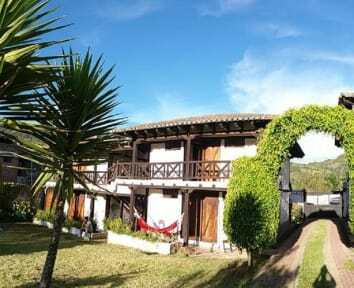 The property is located a few blocks from the center of Baños, overlooking the Tungurahua Volcano. You can also visit Las Antenas, La Casita del Arbol, El Pailón del Diablo, Churches, Squares, Museums, Waterfalls and Thermal Pool. All rooms have a TV. Some rooms offer mountain or garden views. All rooms have a private bathroom with a bidet.